This page is for those of us who use a VPN in order to preserve our privacy while surfing the internet. The single most effective thing a VPN service can do to protect your privacy, is to keep no logs which can be used to associate you with actions performed online. What does no logs actually mean? And how can we know that providers’ no logs claims can be trusted? Below we take a more in-depth look at each no log VPN provider we recommend. If you want to find out more about them, be sure to click through for full detailed reviews. Although this top-tier VPN provider keeps some minimal anonymous usage statistics, these do not include a timestamp or IP address. To all practical intents and purposes, this makes ExpressVPN a no-logs VPN. And a very good one it is too! Its headline act is its ridiculously fast performance, but fantastic 24/7 customer support and a generous 30-day, no-quibble, money-back guarantee certainly sweeten the deal! For those concerned with privacy, robust encryption keeps hackers at bay and what is in effect a no logging policy means that it will have nothing useful handover, even should it be forced to. Servers located in a whopping 94 countries around the world are also a big draw if you’re seeking speed, privacy, and access to geographically restricted content. Users in China will appreciate ExpressVPN’s special “stealth” servers located in Hong Kong, and users everywhere will appreciate the new free Smart Domain Name System (DNS) service (included with all accounts) that keeps streaming media like Netflix running smoothly on a VPN. Top it all off with an easy-to-use desktop software for Windows, Mac OS X, and Linux (command line only), simple apps for Android and iOS plus custom router firmware, and you can see why ExpressVPN impressed our experts and remain one of our most popular providers. Additional features: three simultaneous connections, peer-to-peer (P2P) permitted. Try the best VPN service today with a 30-day, no-quibble, money-back guarantee. Super fast – great for streaming! NordVPN is a no logs VPN provider based in Panama. This alone makes it one of the best VPN choices available for privacy fanatics, as it puts it comfortably outside the direct influence of both the NSA and copyright holders. It backs up this privacy-friendly stance by using great encryption, and accepting potentially anonymous payment in bitcoins. Although I have to be convinced of its utility, many also value NordVPN’s support for “double-hop” VPN chaining (which essentially routes traffic through two servers rather than one). Additional features: P2P permitted, supports obfsproxy technology to defeat censorship. CyberGhost’s great logging policy, decent local (burst) speeds, and fully featured software are a winning combination. And with a 7-day free premium trial plus 30-day no-quibble money back guarantee, there is zero reason not to give it a whirl. PrivateVPN is a zero-logs VPN provider based in Sweden. It features both a firewall-based system kill switch and a per-app kill switch, which pretty neat. Full IPv4 and IPv6 DNS leak protection is also built-in to its client. Additional features: servers in 60 countries, works with US Netflix and iPlayer, kill switch and auto-connect, website available in English, German, Dutch, and Swedish. ProtonVPN is a superb no logs VPN that is run by the same people as ProtonMail. As well as having a free version with limited bandwidth, ProtonVPN has a full unlimited premium service. Servers are located in 14 countries, and they all provide fast speeds for streaming and doing other data-intensive tasks. The software is available for all platforms and can be used on 5 simultaneous devices. The VPN is also fully featured with a killswitch, DNS leak protection Tor through VPN, and a Secure Core network. When it comes to logs, Proton keeps no usage logs whatsoever, no IP logs, and last login time is overwritten on each new connection. That makes Proton a very good VPN for privacy. Simply put, VPN logs are a record of customers’ activity while using the VPN service. In reality, it is all but impossible for a VPN to keep no logs at all. Even the strictest no logs VPN, for example, needs some way to know when subscriptions have expired and require renewal. A VPN will also keep information such as credit card numbers (unless you pay with cryptocurrency). Why should I use a no logs VPN? Your internet provider (ISP) keeps detailed records of how you interact with its service. When you use a VPN, your internet provider is blocked from seeing the content of your data (because it is encrypted), and what you get up to on the internet (as this is shielded by the VPN server, which acts as a proxy). This includes the IP addresses of individual web pages on sites which are not protected by HTTPS. They can even see the contents of your data. Unlike ISPs, which are often required to hand over their logs to the government, VPN services almost all promise to protect your privacy to at least some extent. The kinds of logs either an ISP or VPN service can keep about users’ internet usage (so not including customer account information) can be broadly divided into usage logs and connection logs. Records of every website you visit. including passwords entered into non-HTTPS secured websites. No ISP or VPN does this as a matter of routine, but it can (and will) be done if they receive a valid court order demanding that they do so. No VPN service we know of admits to keeping usage logs, although many ISPs do. ISPs (and VPN providers, which is a good reason to avoid UK based VPN services) are required by law to log this information and store it for 12 months in a way which is accessible to a wide range of government departments. ISPs have successfully lobbied Congress to sell or share customers’ detailed web browsing history to advertisers and partner companies. The IP address the connection was made from. When the connection was started. When the connection was finished (which together are often referred to a timestamp). How much bandwidth you use while connected. Crucially, it does not include websites you to connect to (unless you are the UK government). It does provide more than enough information to compromise users’ privacy. Note: Some less scrupulous VPN services claim to be “no logs” VPNs because they do not collect usage logs. But they do log a lot of connection information, which in our view makes such claims misleading. It is important to understand that all network systems such as VPNs generate logs in real-time as a simple byproduct of their operation. Even if these logs are instantly deleted (e.g. are sent direct to a /dev/null file), for a few milliseconds they exist. This means they can always be monitored as they are created (i.e. in real-time). Even the strictest no-logs VPN service will monitor logs in real-time when network issues need to be resolved or abuse identified. Most “no logs” VPNs keep these real-time logs for a short time, which is understandable since having some information about their own systems helps VPN companies provide the service they do. In our view, this is perfectly acceptable within reason. Keeping real-time logs for a few minutes, or deleting them the second a session has finished, poses a negligible threat to users’ privacy. Almost all VPN companies rent servers from third-party server providers. So even if the VPN provider keeps no logs, it is likely that the server centers in which the VPN servers are located, do. Unlike VPN companies, server centers have no obligation to protect users’ privacy. Any way you look at it, this is not an ideal situation. Good VPN companies, however, who genuinely care about their users’ privacy, can do a great deal to mitigate the problem. Although server logs are an issue that needs to be considered, it is the logs kept (or that can be kept) by a VPN provider itself which pose the greatest privacy threat to its users. Where a VPN company is based, therefore, has a big impact on its ability to protect your privacy. A great deal of disagreement surrounds this question. Can a VPN call itself no logs if it deletes all logs a few minutes after a session ends? What about if it logs timestamps and bandwidth, but does not associate this data with users’ IP addresses or account details? Do anonymized and aggregated usage statistics count as logs? As far as BestVPN.com is concerned, a no logs VPN is a VPN service that keeps no logs which can be used to identify a user. 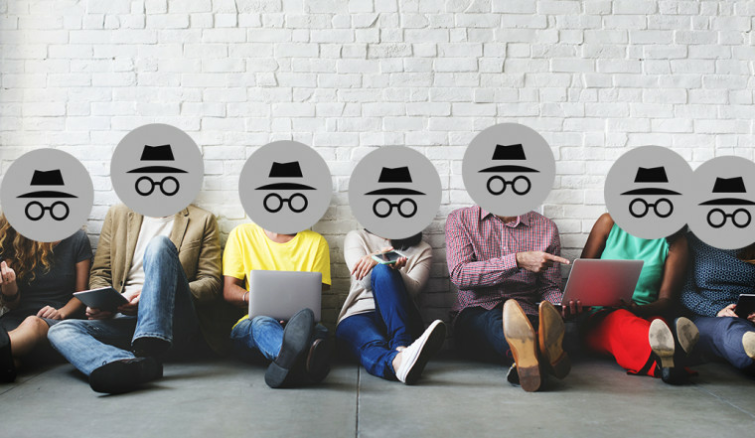 Will a no logs VPNs make me anonymous? VPNs provide privacy, not anonymity. No matter what its usual logging policy, a VPN can always start logging in order to match users with their internet activity. Even when it comes to historical data, VPN services are not always entirely honest about the logs they keep. VPNs provide a high level of privacy against all sorts of blanket surveillance on the internet, and they do this with minimal impact on your internet experience. They will also keep you out of trouble when pirating Game of Thrones, but you should not rely on them to protect you if commit a serious crime. Journalists, political dissidents, whistleblowers, and those whose life or liberty relies on true anonymity, should use Tor instead. No matter how fanatical about privacy a VPN service is, it can always be forced to start keeping these real-time logs instead of discarding them. Under enough pressure, it will. No VPN staff are going to risk jail themselves in order to protect your criminal activities! So why all the fuss about using a no logs VPN? A VPN keeping no logs, then, is more about professionalism than a guarantee that you won’t get into trouble no matter what. This does not mean the exercise is pointless though. Any service which promises to improve its users’ privacy should be designed from the ground up to do just that. Keeping no logs that can compromise users’ privacy is one of the most basic building blocks of any such design. Logs are the antithesis of privacy, and no VPN which keeps logs has the right claim it can ensure your privacy. How to be sure you VPN is no logs? At the present time, we have to take providers at their word or pay attention to the increasing number of independent audits which set out to test this. Here at BestVPN.com we hope such audits become common throughout the industry as they have the potential to provide a level of transparency which does not exist today. Many VPN providers are happy to make bold and generalized “no logs” claims on their home page, but are quick to qualify such claims in the small print of their Terms of Service and Privacy Policies. Take a look at our full VPN reviews, in which our experts review each VPN providers’ ToS and Privacy Policies so you don’t have to! Warrants and court order requiring companies to hand over customer details are usually accompanied by gag orders which prevent the company from alerting their customers that something is amiss. In order to reassure customers that something like this has not happened to them, some VPNs operate warrant canaries. For a detailed discussion on what these are and whether they are effective, please see Are Warrant Canaries Useful? Although nothing can be guaranteed, it’s a safe bet that a no-logs VPN cares a hell of a lot more about your privacy, and will do a lot more to protect it, than your ISP. Most, in fact, go much further in this regard, than the majority of us will ever need. NordVPN not on your list? Hi Scott, As I note in this article: "Although this top-tier VPN provider keeps some minimal anonymous usage statistics, these do not include a timestamp or IP address. To all practical intents and purposes, this makes ExpressVPN a no-logs VPN. "